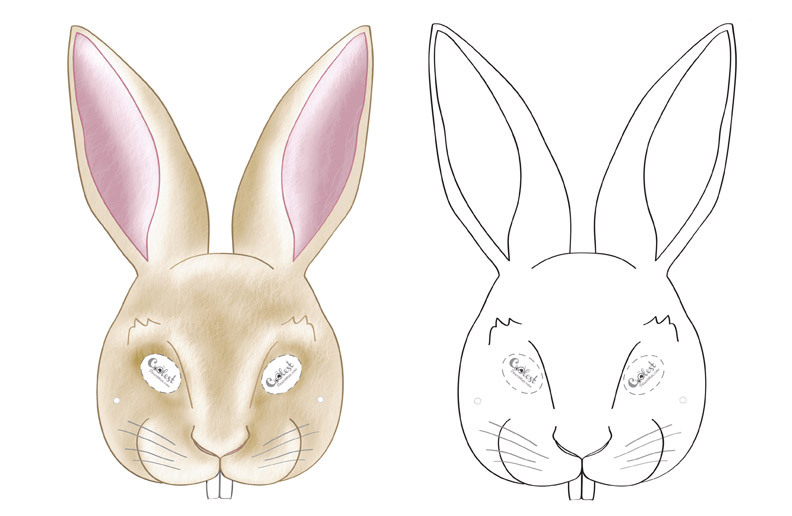 We’ve created a black and white Bunny mask and colored Bunny mask, choose your preference. Then cut all around, cut holes for the eyes, and punch a small hole in the small circles below the eyes – then use stretchy string to tie and fit around the head of whomever is wearing it. It’s best you print on card stock or any other strong paper. You can also print on regular paper, and then glue onto thin cardboard so that it’s strong. Another cool option is to laminate the Bunny mask (Durability is important! This will hold rainy weather).